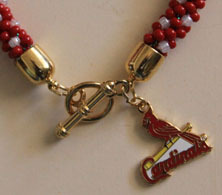 This 8 strand Kumihimo braid features six strands of cherry red beads and white accents with gold tone bullet clasp and the Cardinals birds on the bat. $25. Spring training is just around the corner. Are you ready? 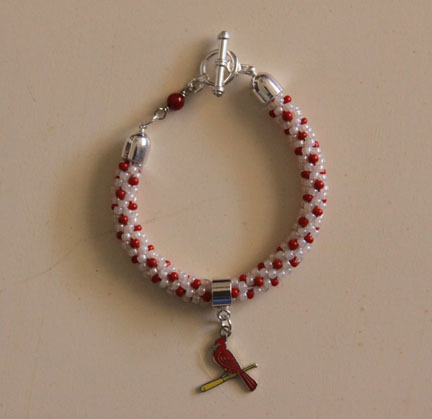 Combining my love for beading and my love for the St. Louis Cardinals! 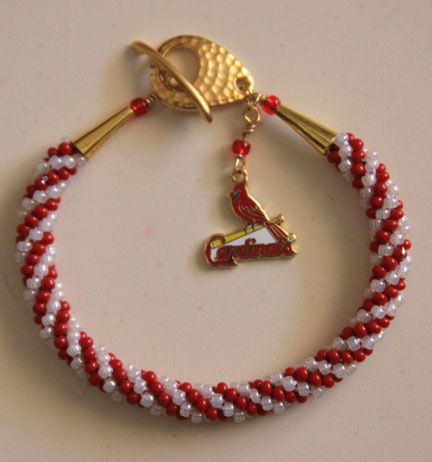 Size 8 Toho and Czech seed beads in an 8 strand Kumihimo braid adorned with a MLB sanctioned St. Louis Cardinal charm in gold or silver tone with matching clasps. 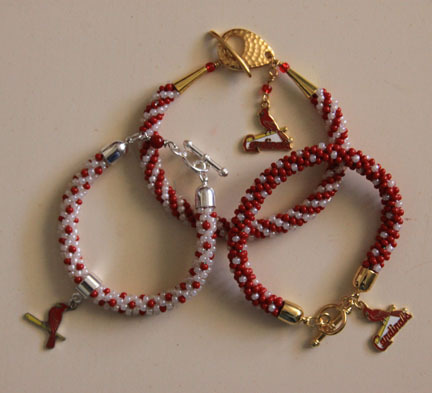 Available for $25 each, but act now! 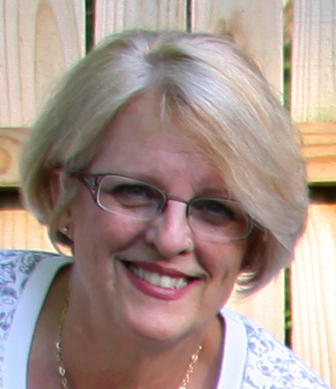 Email me at corley598@aol.com. 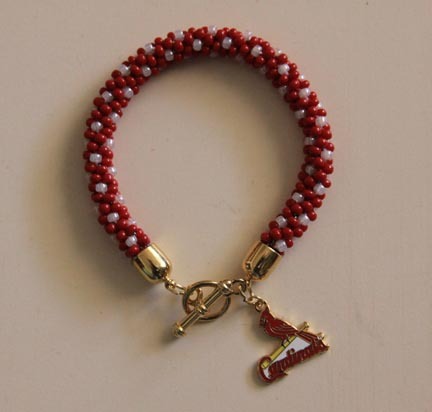 Special orders available too.